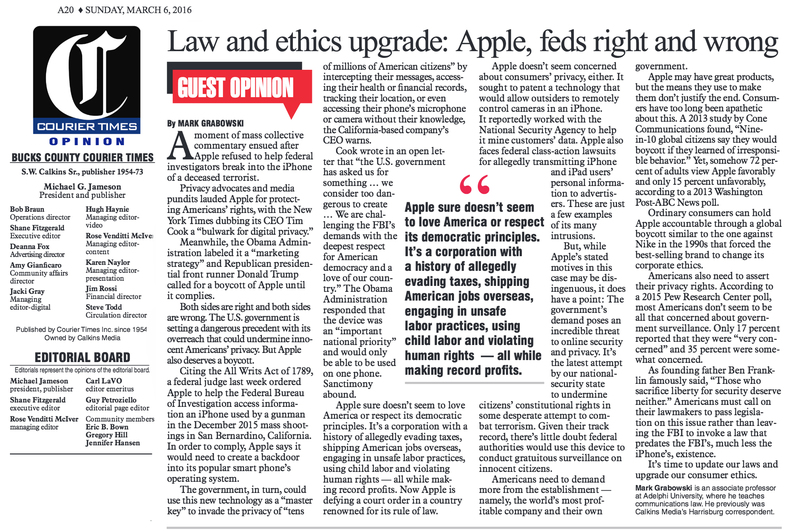 Mark Grabowski was quoted in a front page story in the March 22 USA Today on how the Brussels attacks might impact the FBI-Apple privacy case. Earlier in the day, the lawyer and professor spoke on air live with NPR's affiliate station, KPBS in San Diego, on U.S. President Barack Obama's historic visit this week to Cuba, a nation Grabowski took his students to visit in January. Grabowski also covered the Cuba and Apple issues in his syndicated column, which is published each month in dozens of newspapers from New York to California.